Animation of a standing wave: illustrating how the standing wave is formed by the addition of a wave (green) and its reflection (red). The resulting (purple) wave is formed by the sum of these two waves. 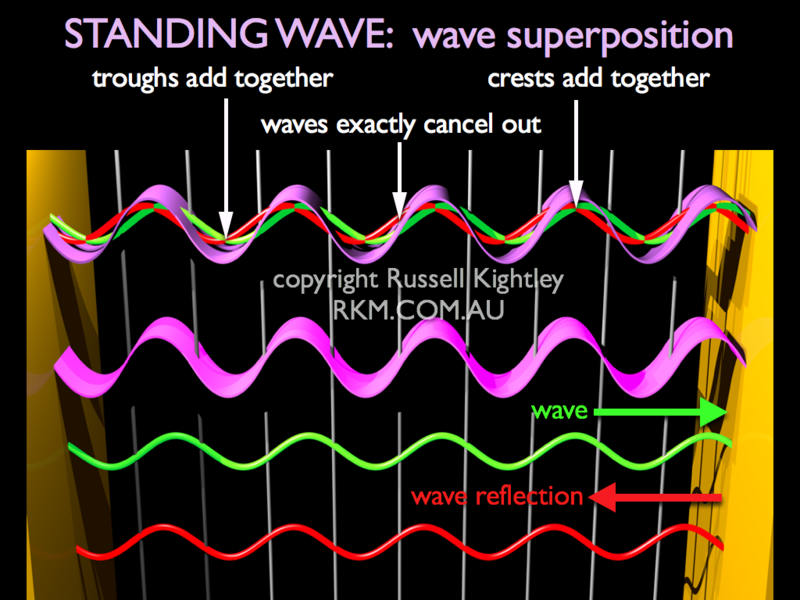 Notice how at fixed points the standing wave has no amplitude. These points are called nodes and their positions are shown by fine grey vertical lines. Standing waves like these are set up in musical instruments and there are various harmonic frequencies that can form these standing waves inside a given resonator. BUY THIS ANIMATION of standing waves!